Fantastic opportunity to own this rare Mehrten property. Spectacular entry , classic floor plan , downstairs bed and bath with a huge bonus media, game room. Bathrooms have been recently remodeled. New paint inside and out. Fresh clean colors. New carpet upstairs and some new carpet downstairs. 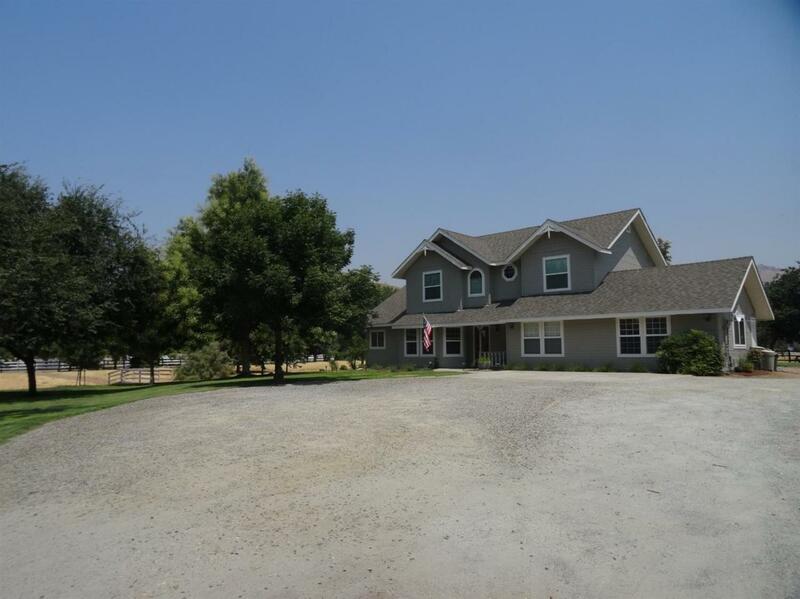 Property has several pastures with a run in shelter and many sheds for tack room and storage. Seasonal creek can run thru the property in the rainy season. Views from every window all around the home. Nice grassy landscaping front and back and still room to do more livestock or fruit trees. Great well recent new well pump. So many upgrades to this house starting with newer mil-guard windows, Newer roof, 3 new ac units, new front door, lighting, so much to mention. If you want a prestigious address and land to do what you want, with an extra special family home this is what you are looking for. Call today for your private showing.